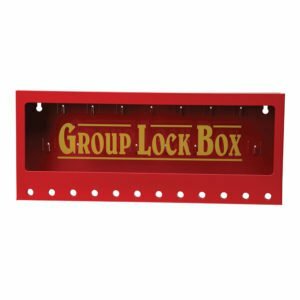 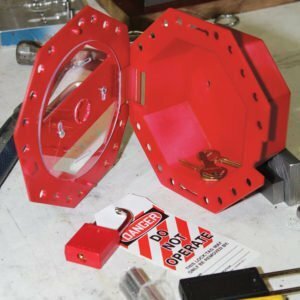 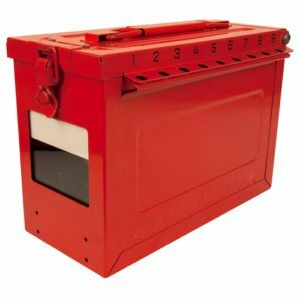 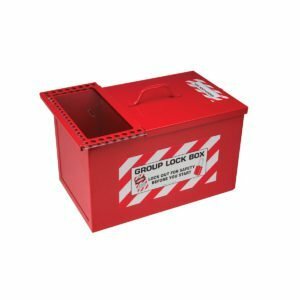 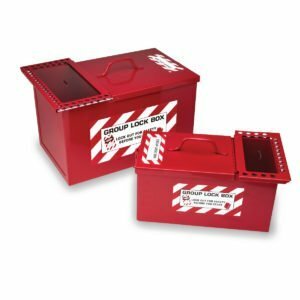 Master Lock 498A Latch Tight Portable Red Group Lock Box features a durable powder-coated red finish with an easy-to-grip, ergonomic handle. 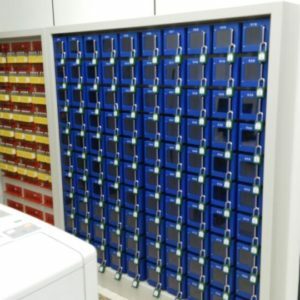 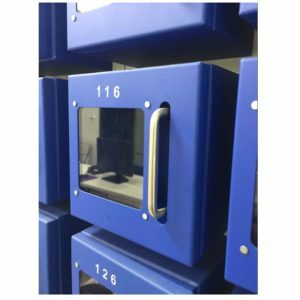 • Accommodates up to 12 workers, or more with use of lockout hasps, lock box secures each lockout point on a piece of equipment with just one designated lock. 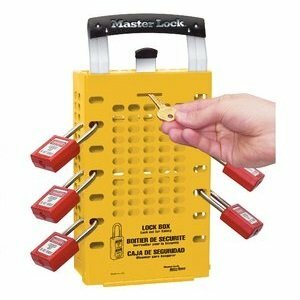 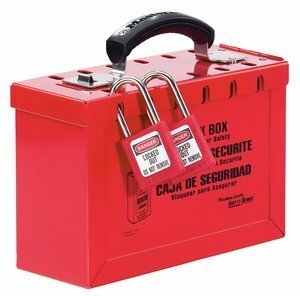 • Box captures keys from those lockout points by placing them in the lock box. 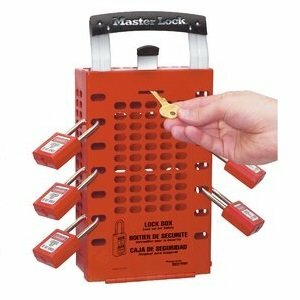 • Each authorized employee locks one personal safety lock onto the box and removes them only when their work is complete. 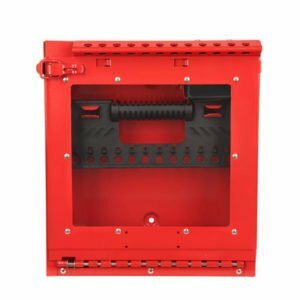 • Exclusive Latch Tight feature ensures that keys cannot be accessed until the last lock is removed.